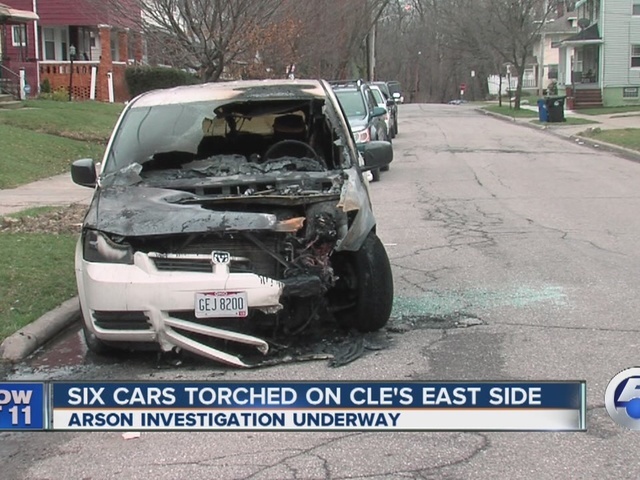 Six vehicles were set on fire early on Tuesday in an east side neighborhood in Cleveland, sparking an arson investigation. Arson detectives are investigating, but have not determined the cause. Arson signs are plastered all over the neighborhood. Residents told investigators they didn't see or hear anything suspicious until they saw the cars ablaze. "It could have hit a gas tank and could have blown up," said Edith Statham, one of the victims. "Houses could have blown up, kids could have been hurt." Statham's car was parked on the street across from her son's house, where she was staying the night to babysit her grandkids. She said her neighbor started banging on her door around 4:40 a.m. and said the cars on the street were on fire. She ran outside to see flames pouring from her 2012 Chevy Cruze. "This is our livelihood, this is what we have. Why would you take it away from us?" Statham asked, hoping the arsonist is quickly caught -- and locked up. 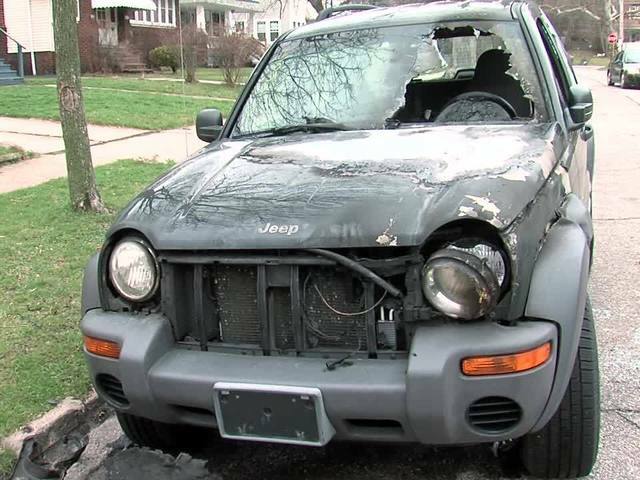 For Kylan Levy, months of hard work went up in smoke when the arsonist targeted the Jeep Liberty he bought just a month ago. His temporary tags are almost the only thing not charred. "I'd be mad if I knew who did it, I have no one to be mad at. I'm just upset I didn't park in my driveway," Levy said. Anyone with information is asked to call Crime Stoppers at 216-252-7463. Callers can remain anonymous and could receive a cash reward.